It’s Good Friday. What an important day, a dark day, a special day, a brutal yet amazing day. The day many, many years ago Jesus Christ sacrificed His perfect, blameless life for our salvation and redemption. One man, one act, one horrific death for any and all. It’s hard to comprehend! I can’t think about that day without recognizing the significance of Christ’s bloodshed on the cross. We all know what blood is, it’s the red fluid continuously circulating throughout our bodies composed of vital nutrients and transporting them to and from our organs. It gives us life and without we cannot live…interesting, huh? In the Old Testament, God required animal sacrifices for the temporary forgiveness of sins. Can you imagine? I think it’s all I would be doing, sacrificing animals to live in a brief moment of freedom, a temporary time of forgiveness…wow. Just wow. I’m so grateful we live on this side of the cross, this side of grace, this side of the last blood shed for our permanent forgiveness…and then I think of what it cost and I’m overwhelmed and cannot believe I am loved so much– we all are! With blood we have life, without it there is death. Through Christ’s blood, poured out on the cross we can truly have life and freedom. His bloodshed wasn’t a temporary act like an animal sacrifice, but was and is a permanent reminder of our forgiveness of sins. Of grace being enough. Of Christ being enough. From the beating with the whips, to the crown of thorns, to the holes nailed in his hands and feet suspending Him on the cross, to the final pierce in His side, the weight of the sins, sadness and sufferings of the world were laid upon Him, one man, our Savior, Jesus…and then entered grace. 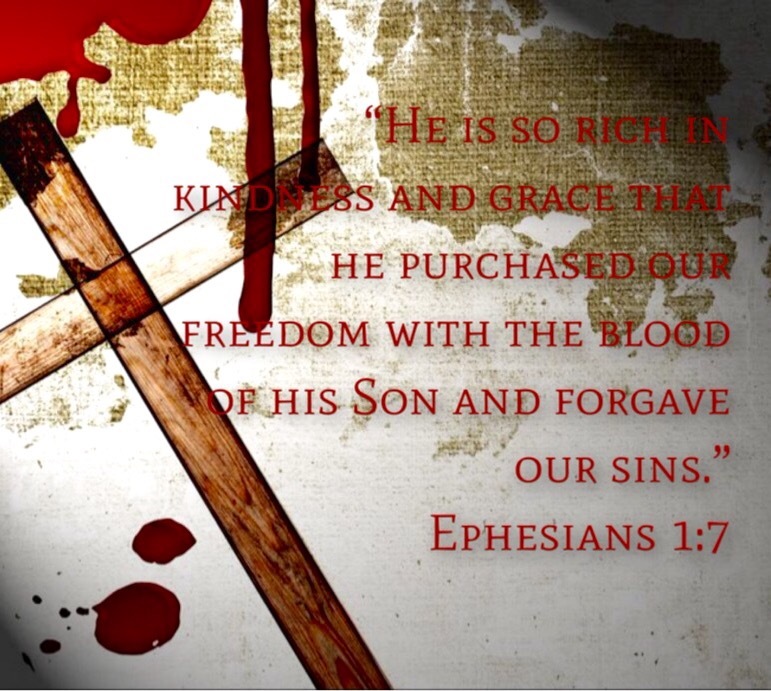 With each drop of blood that fell at the foot of the cross, each drop that rolled off of His brow, we are forgiven. We are given grace. Grace undeserved but given anyway. We will continue to struggle with sin and sufferings until we meet our Savior face to face but no more is there a need for blood to be shed, just blood to be remembered and received. Oh THANK YOU JESUS! Love runs red. On that dark day years ago and until He returns, His love runs red for you and for me. Today we honor Him and remember His sacrifice by wearing red, won’t you join us! ?